interest near Kildimo. Situated on the N69 Coast Road between Limerick and Listowel/Tralee, 8 miles from Limerick City, 22 miles from Shannon Airport and 5 miles from Adare Village, Slattery's Bed and Breakfast is a charming village Guesthouse with a walled garden and guest sitting room. 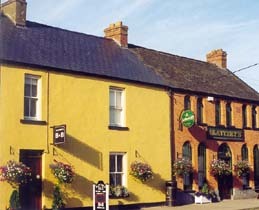 Next door to the B&B is Slattery's Pub, which is famous for its music and friendly atmosphere and has been owned by the Slattery family for over 150 years. Kildimo is ideally situated for day trips to Killarney, Ballybunion, Blarney, Cliffs of Moher, the Burren and the Rock of Cashel. The sportsman has an excellent choice of activities in and around Kildimo, including coarse and sea angling, golfing, equestrian facilities and hiking. 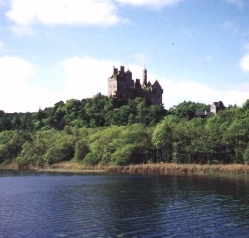 The River Maigue which runs past the village is popular for trout and salmon, while nearby Bleach Lough offers great trout and pike fishing. There's horse racing just 5 miles away at the Limerick racecourse in Patrickswell and Thomond Park, spiritual home of Munster Rugby is just an 8 mile drive into Limerick city. The guesthouse has two double rooms, two twin rooms and a family room. All rooms are equipped with en-suites and TVs and the guesthouse has central heating. There are a range of options available for breakfast. If possible, please let us know if you have any particular preferences or requirements, etc. Self-catering groups can also be accommodated. Wifi and Parking is freely available. Please Phone or Email us in order to make a reservation. You can get good detailed instructions from google maps and from the AA. The easiest and fastest was to get to Kildimo is to take the tunnel under the Shannon. There is a toll for the tunnel of approx 2euro. Take the first exit after leaving the tunnel (N18 Junction 2) and follow the signs for the N69, Listowel, Tralee, Foynes, Askeaton, etc. Kildimo is approx 8 miles and Slatterys is in the center of the village. The M7 motorway becomes the N18 Limerick South Ring Road. Exit the N18 at Junction 2 and follow the signs for the N69, Listowel, Tralee, Foynes, Askeaton, etc. 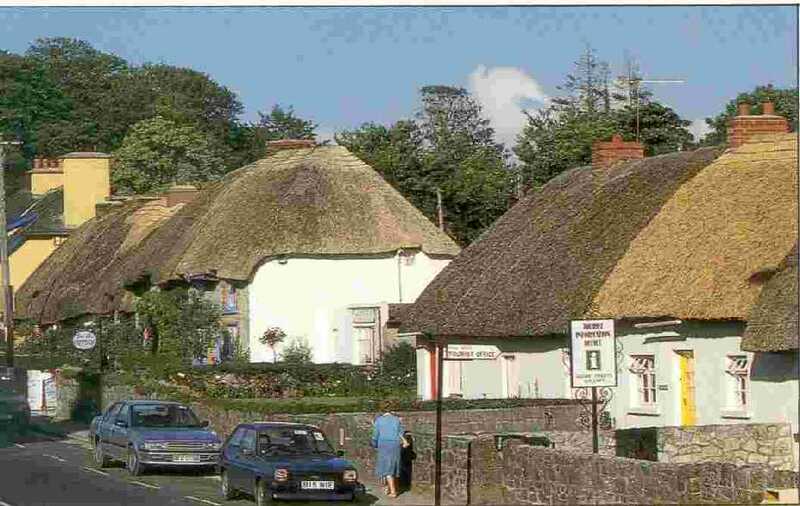 Kildimo is approx 8 miles and Slatterys is in the center of the village. The road from Cork to Limerick joins the new Limerick bypass near Patrickswell. Follow the signs for Adare and Tralee/Killarney. In the center of Adare (about 3 miles from where the Cork road joins the new bypass, there is a small roundabout with signs for Kildimo (the second exit). Follow this road for approx 5 miles to reach Kildimo. 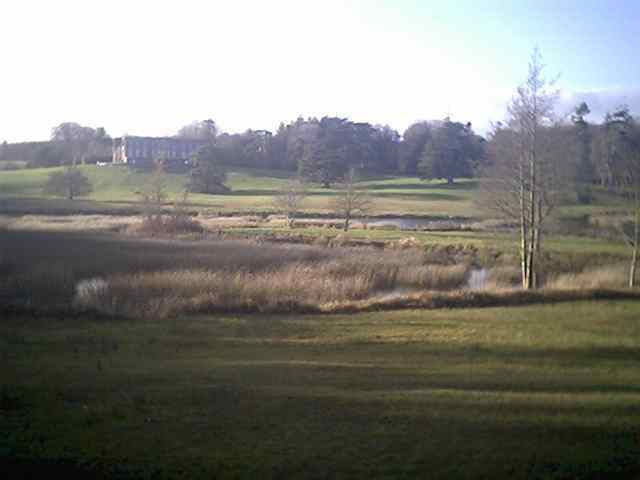 Take the road to Limerick until you reach Adare. In the center of Adare there is a small roundabout with signs for Kildimo (the first exit). Follow this road for approx 5 miles to reach Kildimo. There are 2 routes you can take: follow the usual route, signs for Limerick until you reach Adare (see coming from Killarney) OR for a more scenic route take the N69. Follow the signs for Listowel leaving Tralee. In Listowel follow the signs for Tarbert. At Tarbert follow the signs for Limerick. This road runs for a number of miles along the coast and can often be quicker than the major route to Limerick as there are fewer large towns and less traffic.